The much-anticipated remake of the Robocop 1987 recently hit our cinemas again last month, and has been on the receiving end of tons of negative criticisms as well as compliments from those who thoroughly enjoyed the original Robocop film. However, how would the view of a person – someone who has never seen the original film – on this movie, be? I took the liberty of watching this remake, and at the first glance, it seemed promising, but took a few bland twists in its plot during the course of the film, but we’ll progress there later. Bear in mind that I will not compare the original and the remake with each other , but instead see the remake as an “original” film, doing my best in keeping this review spoiler-free! First of all, lets take a look at the soundtrack. Though often neglected, the soundtracks of movies play an important role in narrating the storyline.. In Robocop, the scores, courtesy of Pedro Bromfman, were well-written and fitted their designated scenes. From the heroic music at the beginning credits, to the suspenseful ones during the combat scenes, the music was undeniably apt and gave the audience a sense of empathy with the movie. Moving on to the perspectives of the shooting, the cameras, at times, were very unsteady (especially during the fighting and suspense scenes) and the audience may have been left confused. Nevertheless, the audience were still able to deduce the events once the camera stopped spazzing out and regained composure. The Computer Generated Images (CGI) in Robocop were nothing spectacular, but isn’t this the case with movies nowadays? Most movies in today’s world incorporate CGI into their scenes too often a time, thus, it no longer has the same appealing effect as when it was first used in movies. Nonetheless, Robocop certainly cannot do without CGI effects though the use of it in this movie was somewhat average and could do with some improvement. Finally – the plot. The movie began by immediately propelling the audience right into the action, but the excitement gradually wore off. Rule of thumb – never, ever start off a movie with a fast-paced, action-packed scene if you cannot maintain the excitement throughout the movie. If you watch tons of movies, you will certainly be able to forsee who the main antagonists of this movie will be. It then goes on to introduce the main character, he turns into Robocop, defeats the villains, so on and so forth… What you get from the story is a very cliched turn of events, and there are minimal, albeit predictable, twists and turns. Of course, Robocop is meant to entertain, but personally, I find the miniature scale of the movie too disappointing to fulfill its purpose. The characters in the movie are merely superficial as you do not get the chance to take a closer look at them. Simply put, they are the stereotypical characters in an action-thriller film. All in all, Robocop is not too bad a movie. Even without watching the original film, I can tell it is certainly better than most movie remakes, though it could have indisputably have been much better in its plot. Final verdict? 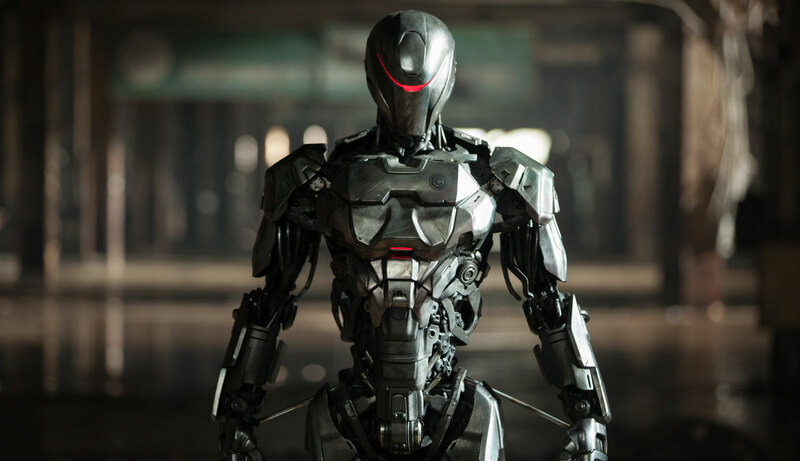 6/10 – You won’t miss out on anything spectacular if you stay away from this remake of Robocop.